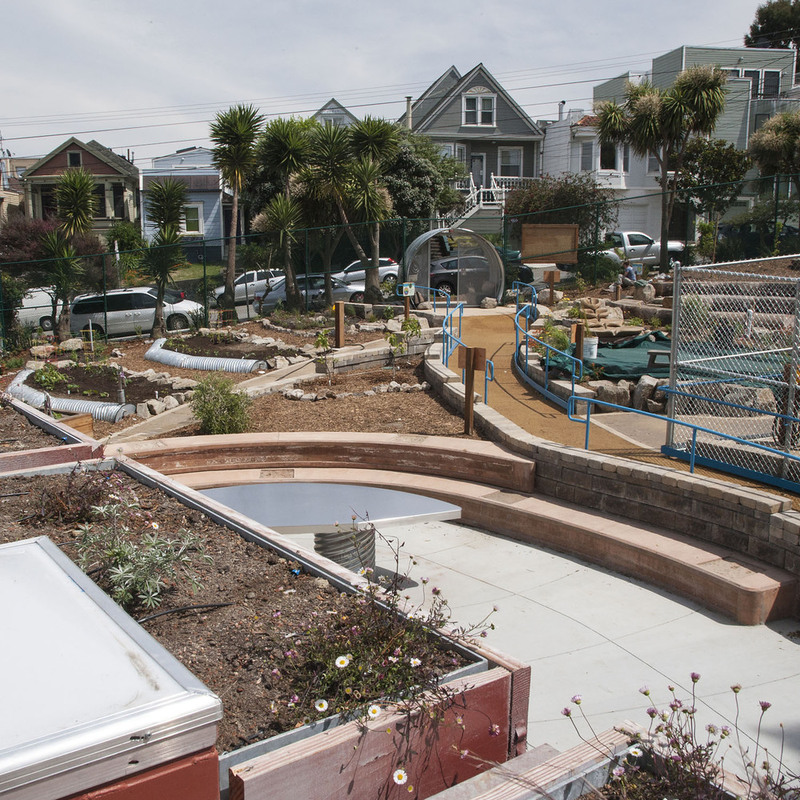 The College Hill Learning Garden was developed on vacant public property for the San Francisco Public Utilities Commission. A green-infrastructure demonstration garden and outdoor classroom in the Bernal Heights' neighborhood, it was designed to model the benefits of living more in balance with our natural resources by mimicking natural processes in our landscapes that are more conducive to sustaining our life-support systems. 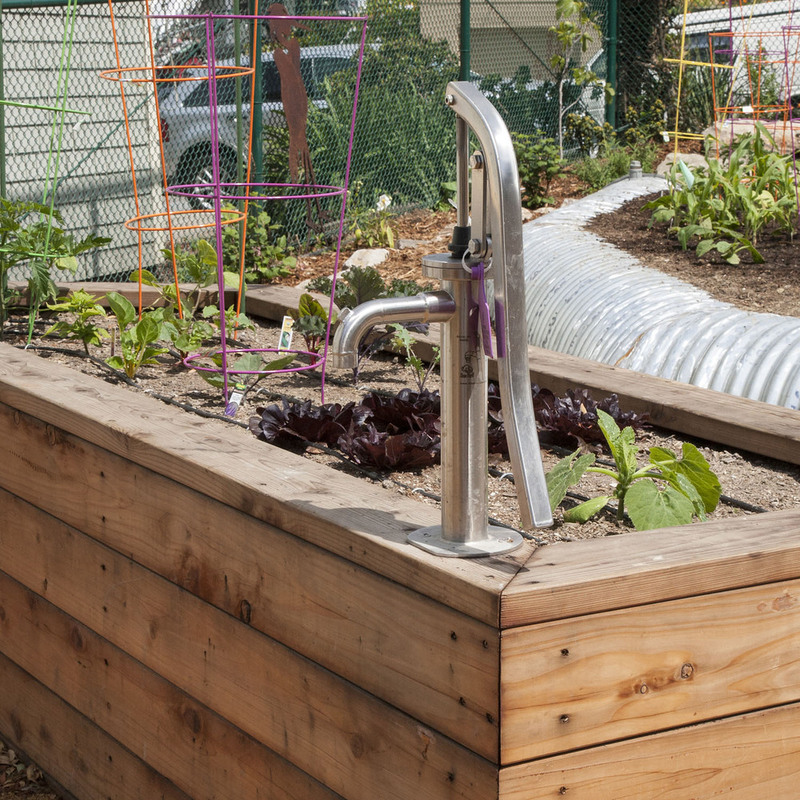 This state-of-the-art demonstration garden is designed for educating local students in grades K-5 about San Francisco's water, wastewater, renewable energy, energy efficiency systems and full-cycle design while providing hands-on exposure to healthy food cultivation and sustainable living practices. In essence, it demonstrates the benefits of going from "gray" to "green" in an urban landscape—from concrete culverts to cultivation and conviviality. The methods and materials used are considered Bay-Friendly and Sustainable Sites approaches to ecological landscaping. The design team included Pam Nagle Landscape Architect, Jeni Webber + Associates and Hart Wright Architects and Urban Design Consulting Engineers. A modified shipping container doubles as an office and staging area for garden educators, and features a green roof planted with wildflowers to attract endangered Mission Blue butterflies, photovoltaic solar panels that power the entire site, a weather monitor, and a rain barrel for water collection. 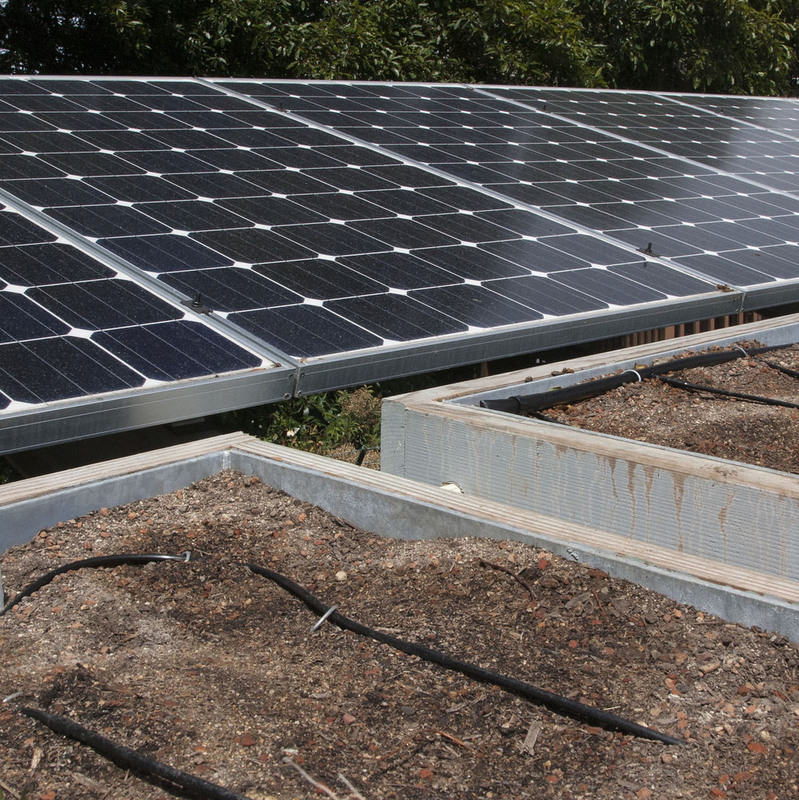 Nearby is a waterless, composting toilet that turns waste into compost and a small pond that demonstrates a freshwater ecosystem. A "catch-and-release" water-harvesting system, rain gardens and graywater treatment are also key elements of the garden. 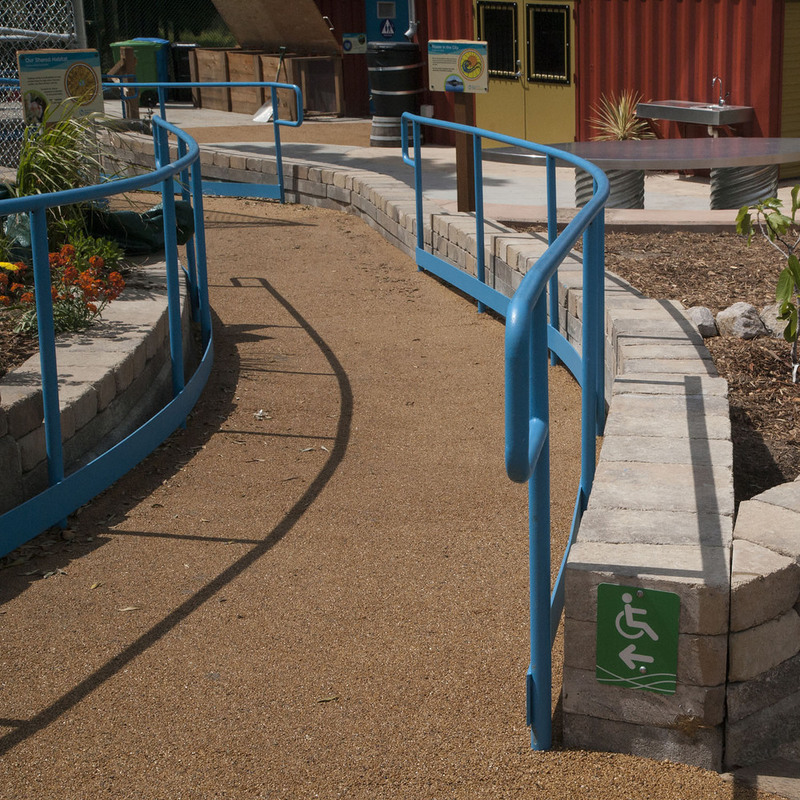 Permeable surfaces are used throughout, including the handicap-accessible ramps and pathways. There is a vegetable garden, rabbit hutch, chicken coop, amphitheater and extensive educational signage. Native plants and an orchard cover the hillside. The learning garden will be attended by the students from four local elementary schools to learn a series of Next Generation Science Standards (NGSS) lesson pathways taught in a hands-on manner. K-5th grade students from the greater San Francisco Unified School District will be welcomed on a field-trip basis, with programs that highlight specific aspects of the lesson pathway. NGSS educational-programming packets have been developed for teachers so that they can continue the earth science education in the classrooms. In the future, plans call for using the site to host workshops for all ages to engage in urban environmental stewardship.